I walked into town yesterday for a dentist appointment. Just a check-up and x-ray and all was well. As it was sunny, I walked home by the scenic route, taking this shot of the church as I passed it. A lovely view of that ancient church. And look at that sky!! An interesting church. Looka lovely against the blue sky. Beautiful capture. Love all the bare tree branches. A lovely pov and capture of this old church and it's grave yard. 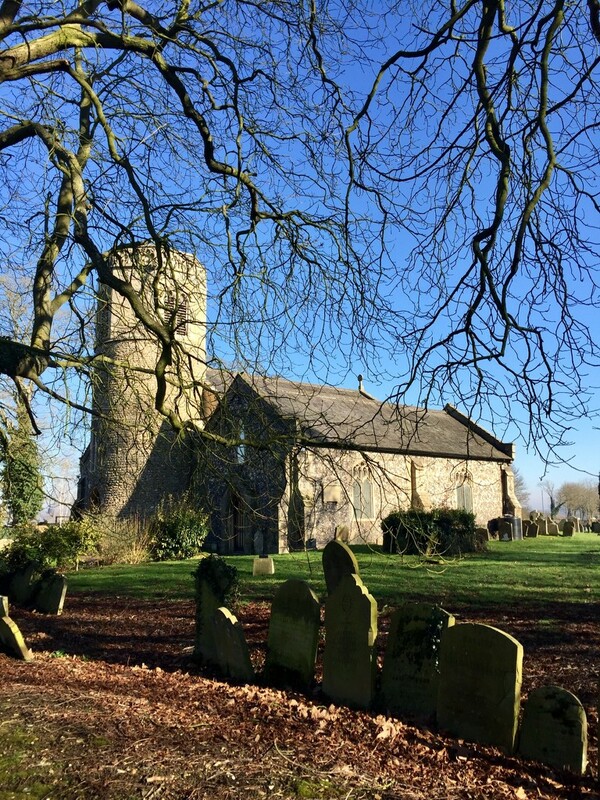 love the sun reflecting on the grave stones and side of the church , and the beautiful blue sky - -it should be spring !